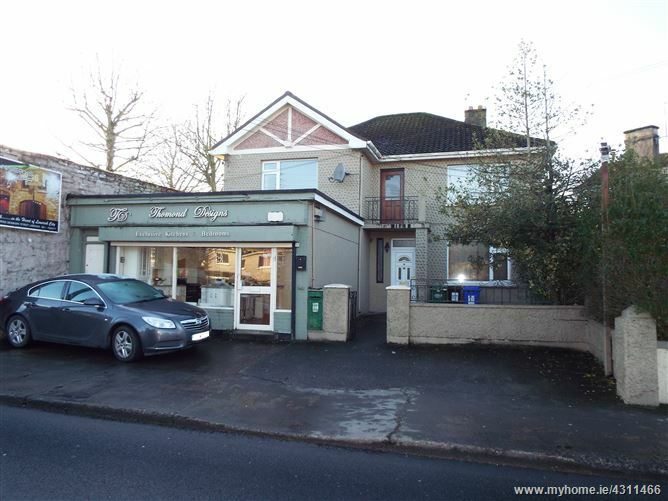 New to the market comes this very attractive well located investment property comprising of a retail unit, four bedroom two storey house and two bedroom apartment. The three units are currently let generating a combined income of c. €30,000 per annum. The property is located on the main Shelbourne Road adjacent to St. Camillus’s Hospital and opposite Shelbourne Park with nearby landmarks including Thomond Park and The Gaelic Grounds. Shelbourne Road is one of Limerick’s most sought after residential locations both to purchase or to rent, making this an ideal location for an investment property of this nature. A viewing of the property is highly recommended. Main Residence: entrance hallway,, front reception room, second reception room, kitchen and upstairs bathroom, separate W.C., 4 bedrooms main ensuite. Apartment: entrance hallway, open plan living / kitchen / dining room, 2 double bedrooms and bathroom. Retail Unit: Retail area, W.C., hall, store, kitchen and office.